Boogie and blues band Canned Heat just have that knack of making everything they record sound like fun. After almost fifty years of producing records, the group decided to try their hand at one of the most fun times of the year, releasing ten holiday classics in a style all of their own. 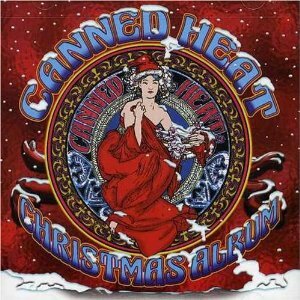 Canned Heat give a real rock and roll treatment to the holiday classics in their Christmas Album. The lyrics of traditional carols like Deck the Halls are superimposed onto blues chord progressions and melodies, rendering them almost unrecognisable. The chilled tracks Christmas Boogie and Christmas Blues are pure Canned Heat, while the boys put their own stamp on Little Drummer Boy, renaming it Boogie Boy. For an extra helping of fun, the group enlists the help of children’s group The Chipmunks as they cover the classic The Christmas Song. Christmas Album is sure to spark debate about the appropriateness of rock and roll styled carols, but there’s no doubting this album is a whole lot of fun.